After more than ably filling in for Jon Stewart while the long-tenured Daily Show host spent the summer filming his directorial debut, Rosewater, longtime correspondent and fill-in host John Oliver is set to claim his reward - a weekly Sunday night talk show on HBO that will seemingly echo The Daily Show's recipe for success. For Oliver, the move marks the end of a seven-and-a-half year run on Comedy Central's signature late night comedy newscast, and an apprenticeship under Stewart that the UK born comic credits with his new opportunity. While there is an air of finality to Oliver's comments, it seems likely that he will return to The Daily Show for a proper on-air sendoff in the way that many corespondents and other key members of The Daily Show family have when the time came for them to move on. Unlike past exits, though, this one could be perceived as leaving The Daily Show vulnerable, in that there is now no line of succession. The same thing could have been said when Stephen Colbert left the show to start The Colbert Report in 2005, but at that point, Stewart was eight years younger and seemingly disinterested in entertaining other projects. Besides that, Colbert left The Daily Show to move back a half an hour, whereas Oliver is leaving the nest completely. Could Stewart get the itch to step away again to pursue another project? Of course, but while Oliver did a great job as a fill-in, there was no guarantee that he would take his place when Stewart chose to step away, meaning corespondents like Jason Jones or Aasif Mandvi could both be solid options in the short-term. As for a possible long term vacancy, Stewart could always leave The Daily Show completely when his deal expires in 2015, but if Comedy Central was terribly concerned about that or unwilling to throw gobs of money at him to stay, it seems likely that they would have found a way to keep Oliver around. The loss of Oliver shouldn't come as much of a surprise (this follows a rumor that CNN had checked on his status for their own Daily Show-esque show), but it also shouldn't be merely confined to talk about his time behind the desk and as a safety net. When The Daily Show's heart stops beating and the final tributes are written, John Oliver will likely rank among the top comedy minds to blow through the place. His recent reports from Australia show that he is certainly going out on top, and it's likely that the show will take some time to recover from his loss both onscreen and behind the scenes, where Oliver served as a writer. Now HBO gains the use of those talents as they bolster a late night lineup that has lost some of the edge that something like The Daily Show has in excess, but if they're to succeed, the network and their new host will be wise to not echo that show so much as they echo John Oliver's less buttoned down, more chaotic summer of "Danger" as its host. 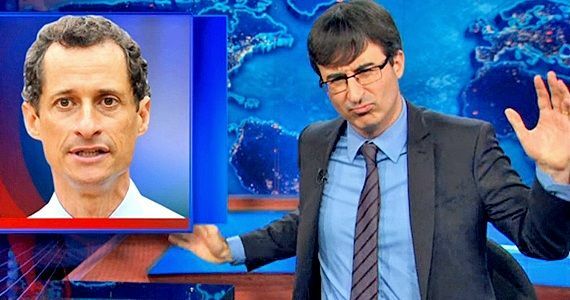 Imitation is the surest form of flattery, but there is only one Jon Stewart and only one John Oliver, and it'll be a supreme benefit to late night fans if it can stay that way. John Oliver's untitled HBO series premiers in 2014. The Daily Show with Jon Stewart airs weeknights on Comedy Central @11pm.